The latest rendition of the Dodge Challenger is a “performance lover’s dream” according to reviews on Cars.com. Explore our inventory of the new Dodge Challenger for sale today at Westpointe Chrysler Jeep Dodge near El Reno and get ready for a racing-inspired joy ride. We offer great prices without the hassle. Come save money with us, we do not have to charge you for our large advertising bill! We treat you like family, not like an ATM. *All prices include all factory rebates and dealer discounts. You may not qualify for all rebates listed. See dealer for details. Recent Arrival! 19/30 City/Highway MPG All from the dealer who makes it affordable. Westpointe CJDR in Yukon. Where we may be hard to find, but the deals are always easy. 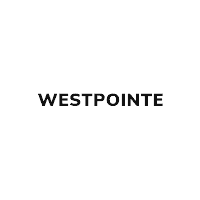 Visit us at www.westpointeok.com or TEXT DIRECT AT 405-494-0748. Experience the speed of the Dodge Challenger today at Westpointe Chrysler Jeep Dodge. We offer new vehicle specials for you to choose from and financing options with affordable rate. Schedule your test drive at our Yukon lot today! You can also compare the Dodge Charger and Dodge Challenger to see which option is best for you.